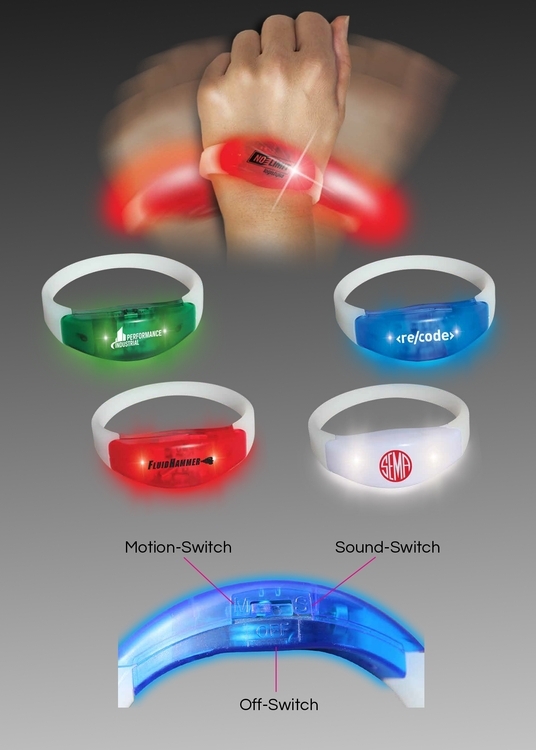 The sound & motion activated bracelet is the perfect party accessory and fun for any action events. The bracelet has a sound/off/motion switch. 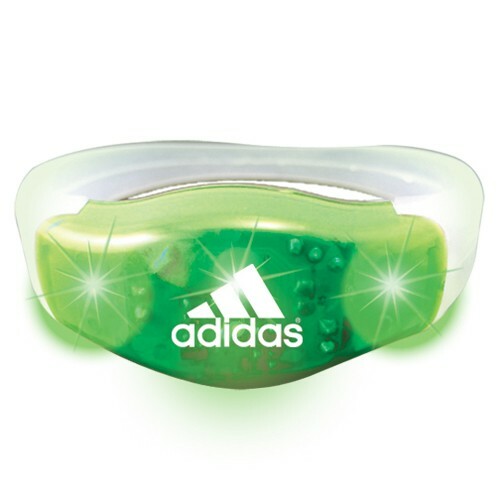 Choice of white, red, blue or green plastic face with matching LED. 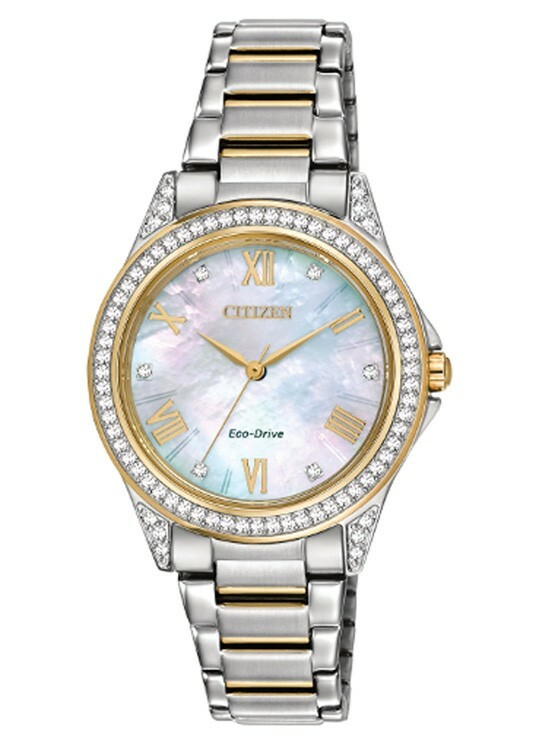 Wear this to a fun sports or music event and really watch your bracelet light up. One size fits all with a white silicone band. 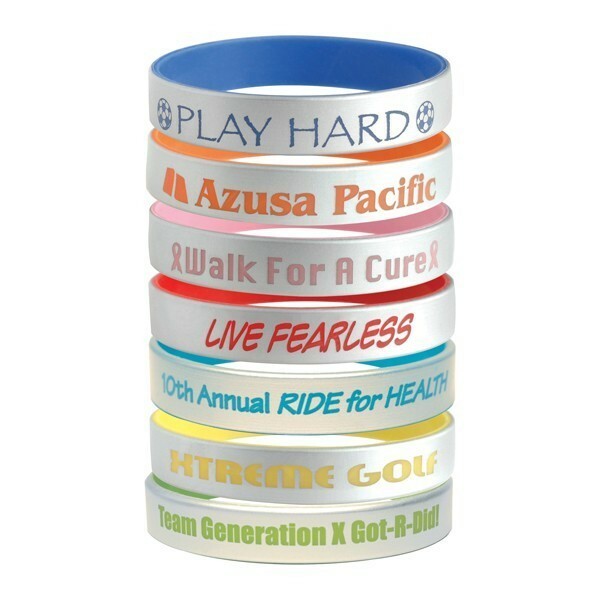 The motion activated bracelet is the perfect party accessory and fun for any action events. 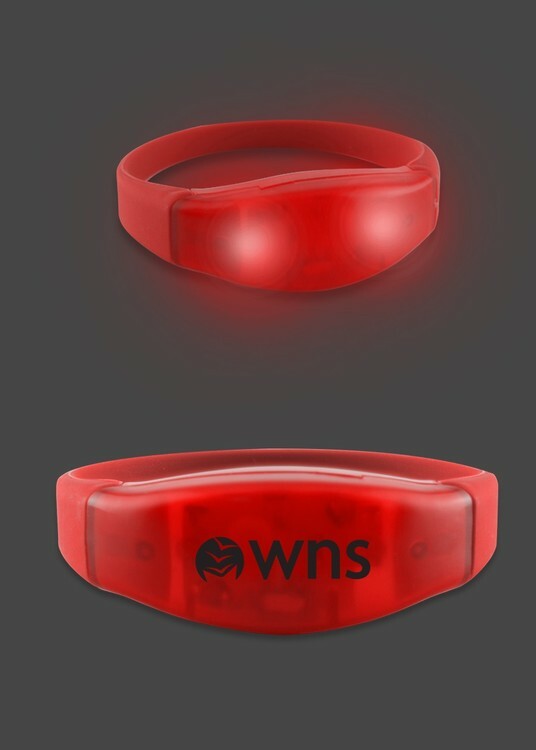 The bracelet has an on/off switch and when the bracelet is on the LED's are activated by motion. Choice of red, blue or green plastic face with matching LED. 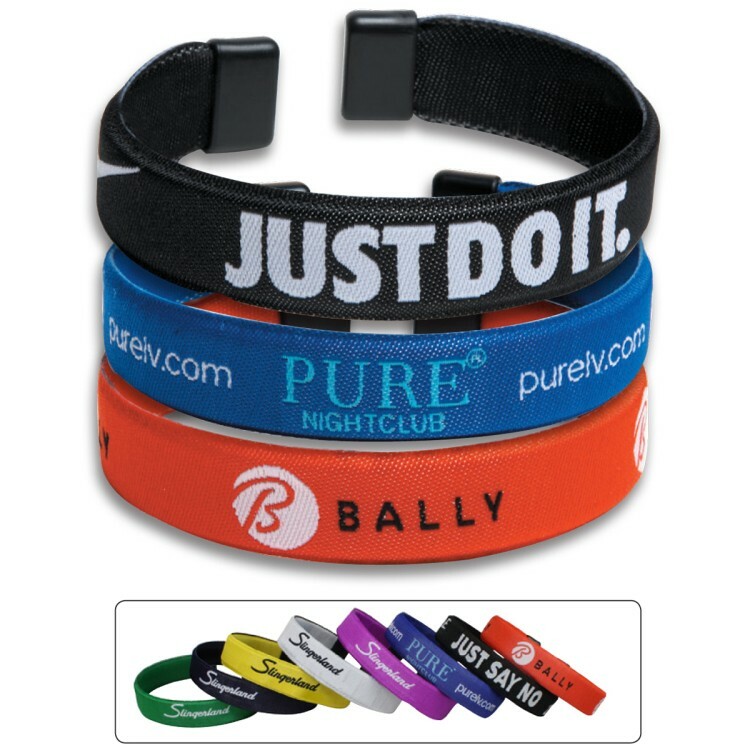 Wear this to a fun sports or music event and really watch your bracelet light up. One size fits all and there is a white silicone band. These Wristloks® will not tear or stretch! Made of tough, durable DuPont® Tyvek®, They may be used indoors, outdoors, on rides, for marathons, parties, theme parks and more. They may be consecutively numbered for tight cash control. This cute cuff bracelet is sure to be a trending look in 2017! Order the Faulkner Cuff Bracelet today. 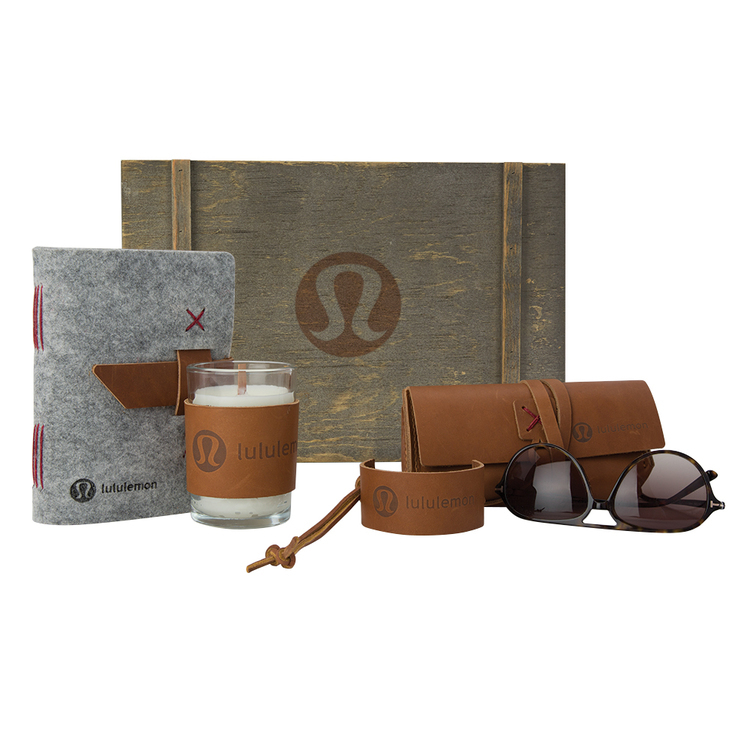 Choose from 5 domestic, USA Made, leather colors and customize artwork to match your company logo to create something truly unique. 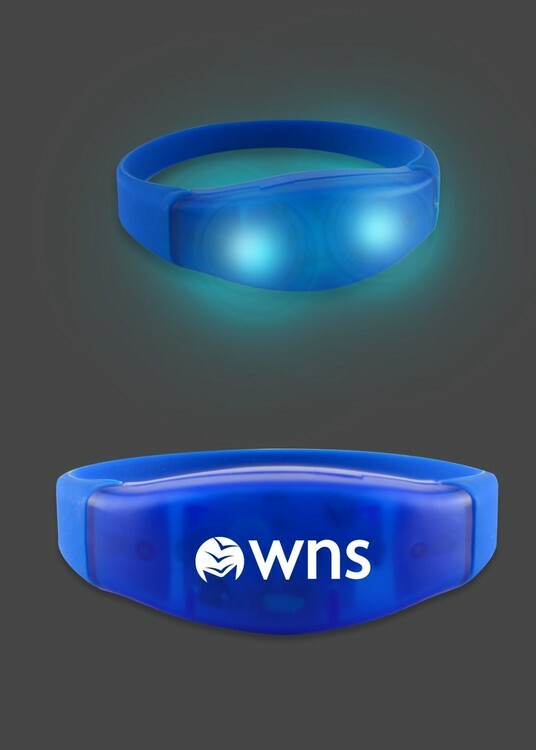 Liven up your next nighttime event by offering this power up on/off flashing bracelet as a favor at the door. This bracelet comes with flashing LED lights that light up when the bracelet is turned on. 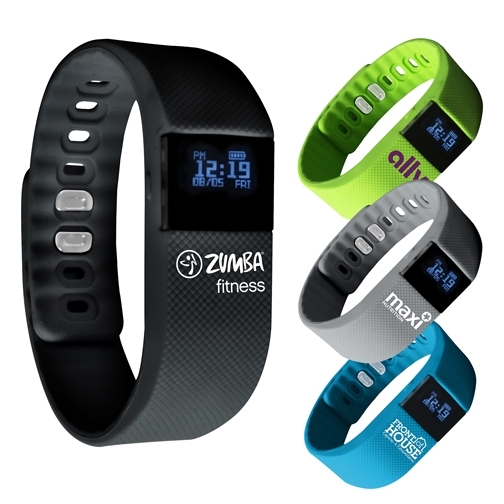 It's designed so that one size fits all with a choice of imprint options onto a silicon band. Each features an on/off switch. This is perfect for any outdoor musical or dance event such as concerts and more. Don't let this great item slip you by! 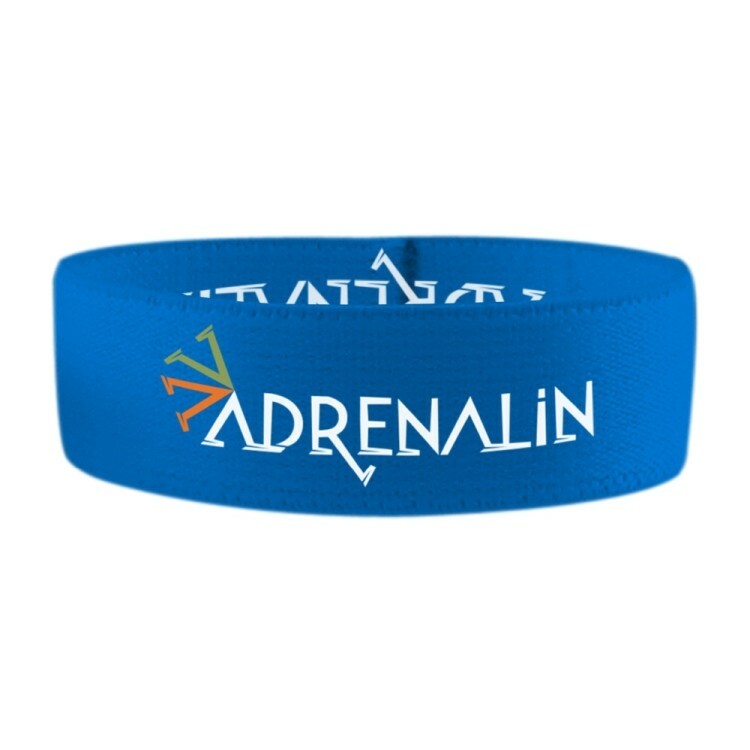 3/4" Dye Sublimated Stretchy Elastic Bracelet. SnugZ USA is a QCA accredited company. 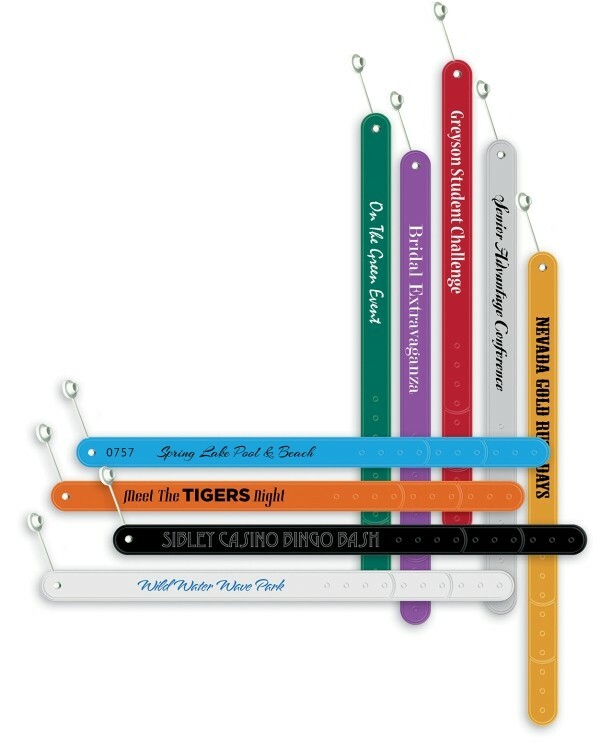 Water Resistant Vinyl Wristlok® One of our most popular products. 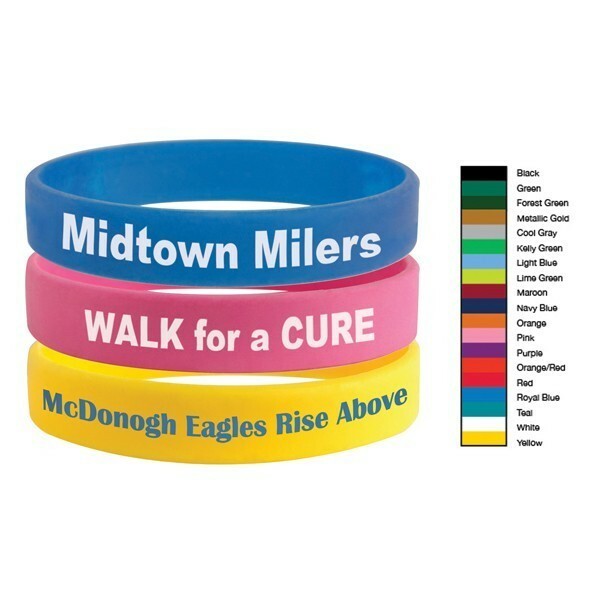 It is durable, comes in a variety of colors and has a textured vinyl backing for user comfort. It will securely lock onto the wrists of children and adults. These ship 12 per tear-apart sheet. 16 oz. 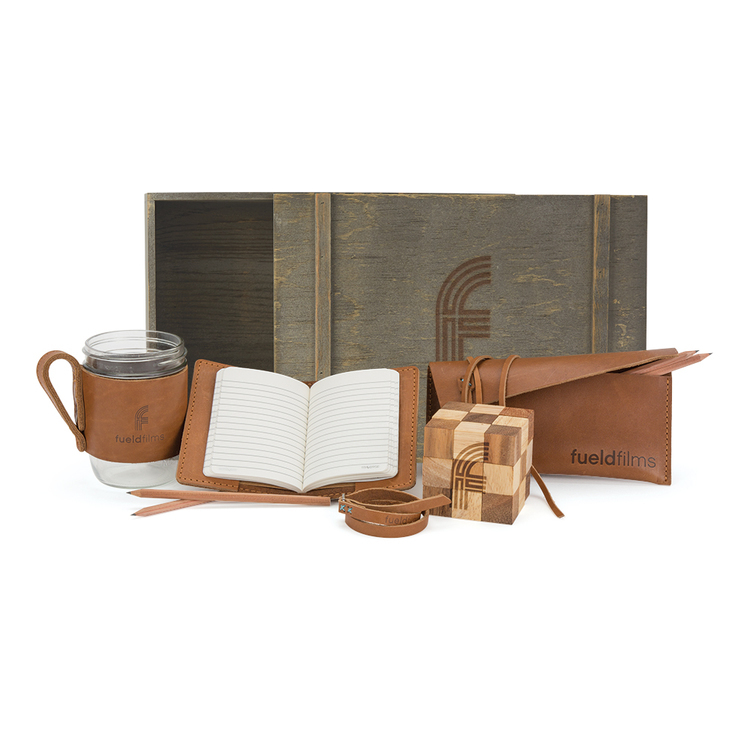 wide mouth mason jar wrapped in leather handled sleeve (BREWSTER), 5.125” X 3.75” mini composition book cover (CLARK), 0.375” X 19.25” leather wrap bracelet (SUMNER), 3” laser engraved cube puzzle (RATTLER) and 8.5” X3.75” leather amenities pouch with four wooden pencils (COHEN) in a 14” X 9” X 4.5” wooden gift box (ZGSWB914-GY) with brown crinkle paper. Choose from 5 domestic, USA Made, leather colors and customize to match your company logo with 11 Irish waxed linen accent stitching colors to create something truly unique. Colors and distress marks will vary - Variations found in natural leather. 7" X 5.25" grey felt journal (HARLEQUIN) with 96 lined pages, 8 oz. 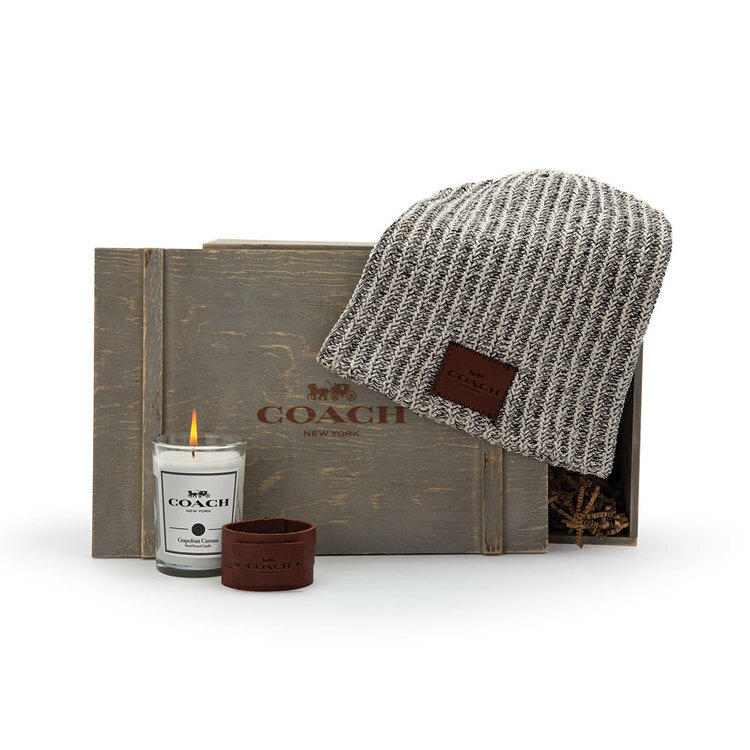 candle with wood wick wrapped in debossed leather sleeve (HARPER), 1.5" X 6" debossed leather cuff bracelet (FAULKNER) and 6.5" X 3.375" X 1.75" debossed leather eyeglass case (DRAPER) in a 14" X 9" X 4.5" wooden gift box (ZGSWB914-GY) with brown crinkle paper. White scented candle available in a variety of scents. Choose from 5 domestic, USA Made, leather colors and customize to match your company logo with 11 Irish waxed linen accent stitching colors to create something truly unique. Colors and distress marks will vary - Variations found in natural leather. 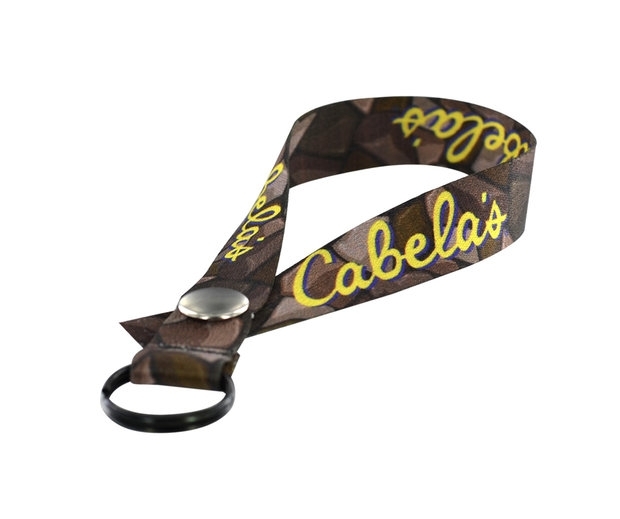 3/4" Dye-Sublimated Polyester Accessory Strap. SnugZUSA is a QCA accredited company. 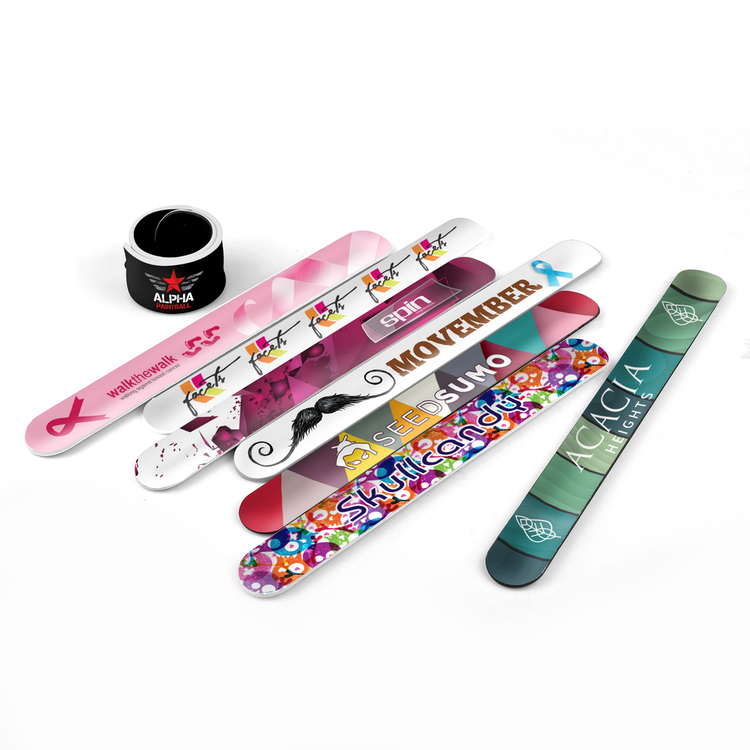 Dye Sublimated Bracelet with Locking Slider - 1/2"x14"
Dye Sublimated Bracelet with Locking Slider. Turn time: Air: 11-15 business days after pre-production proof approval on select styles. Ocean: 45-50 business days after pre-production proof approval on select styles. Timeline is based on no customs delays or scheduled holidays. Pricing is based on ocean freight. 500 piece minimum. Contact Sales your Sales Rep! 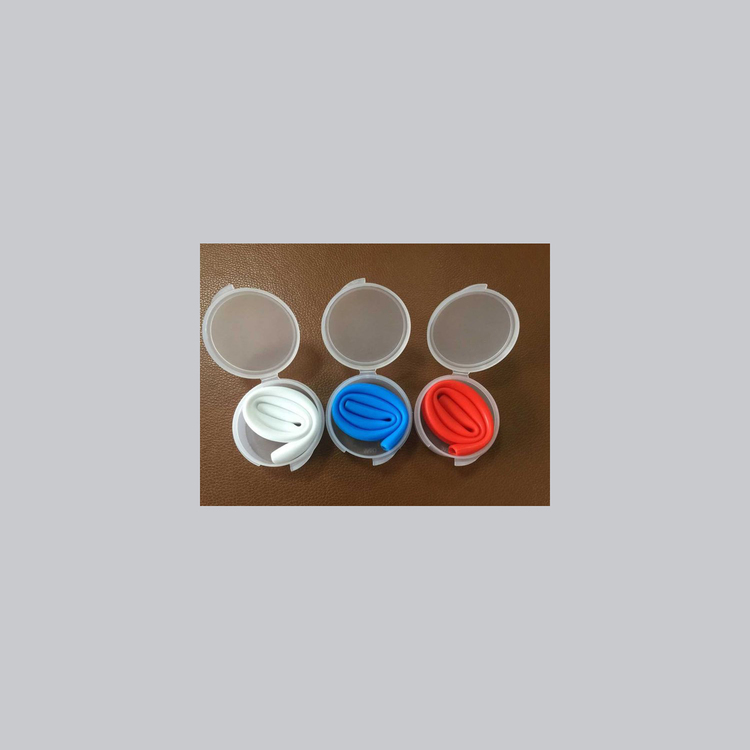 Polyethelyne Bracelet. Add 2 business days to production if paper proof is requested. Reusable 10" high Silicone Straw in imprintable carrying case has a wide-mouth, is dishwasher safe and FDA approved. Made of high quality, food grade silicone. Hand wash recommended. Great for any event, children or adult oriented. Enhance your promotion! You may order a stock design with no custom imprint or you may add your custom logo to a stock design. 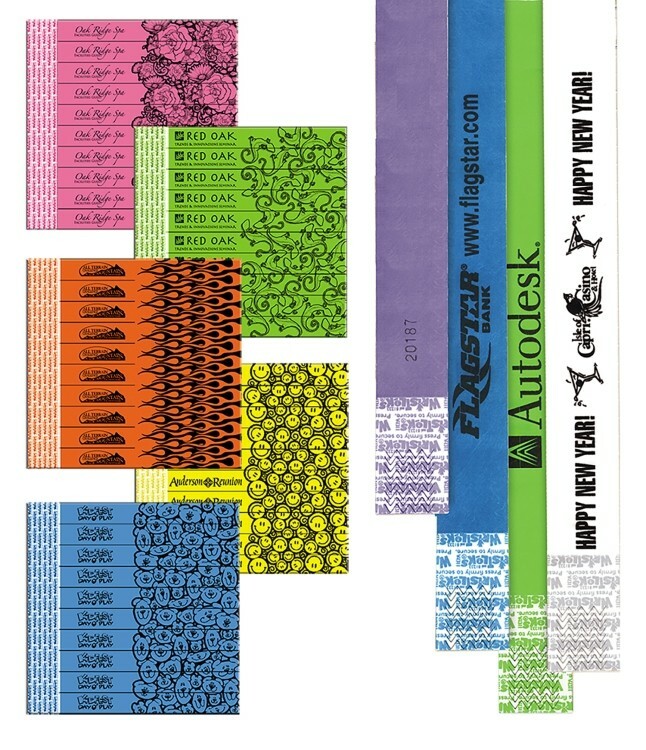 Alternatively we can print your custom full-color graphics. 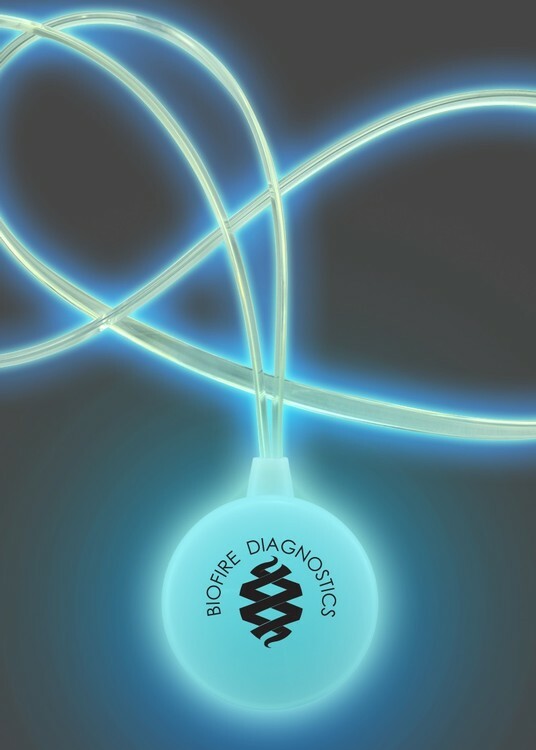 The dual lighted necklace is perfect for any night life or day event, tradeshows, awareness, etc. With four flash settings: quick, slow, stay on, and off with lanyard on. The dual lighted necklace is safe for younger kids as it comes with quick release clips to easily pull off. The BrandBandTM is a fresh and new alternative to the silicone bracelet and wrist band concept. 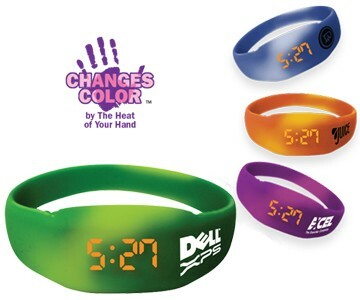 It’s a fun and lighthearted medium for corporate and event branding, but fashionable and can be worn everyday. Your imprint copy is woven-in to the polyester skin for a more upscale and professional look and feel. 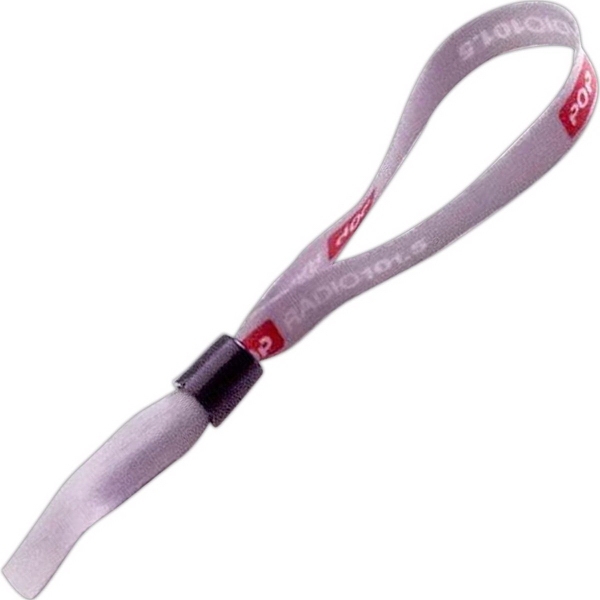 The BrandBandTM is made from high quality flexible plastic so it won’t break or warp over time. One color woven imprint over a background color is included in the price. 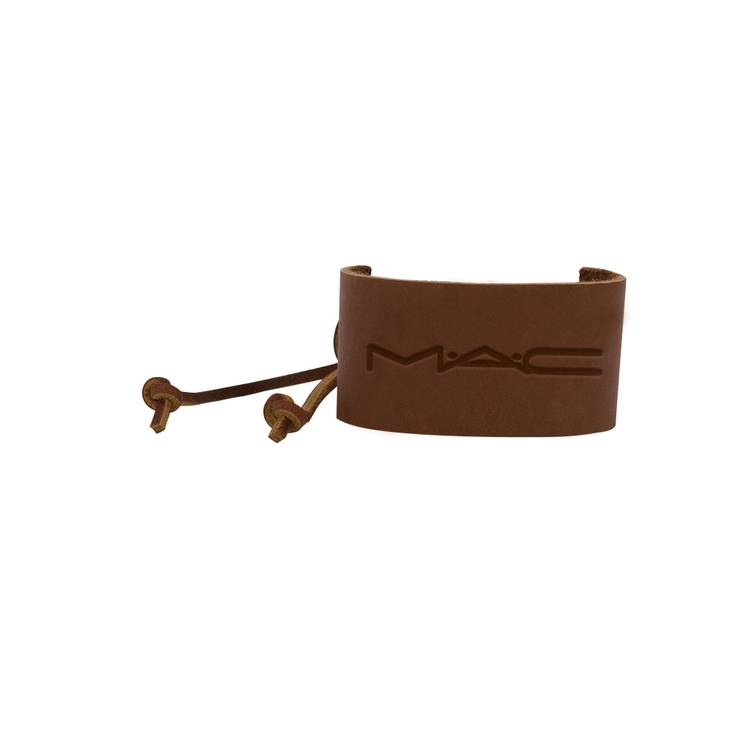 One color screened imprint on the bracelet s surface. 1/2" wide. Metallic silver overlay on solid color bracelet. 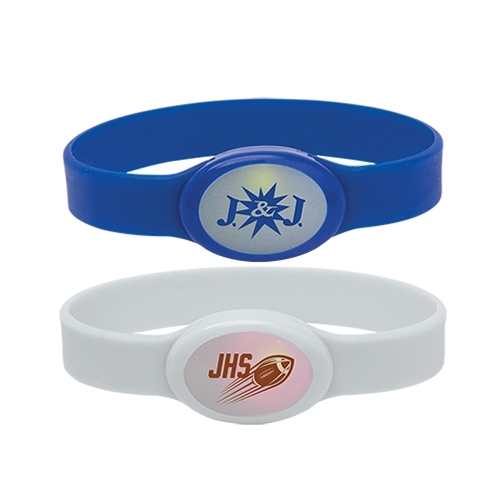 Imprint is laser engraved to show the color of the bracelet through the metallic overlay. Engraved in our US factory. This item does not contain lead. 1/2" wide. 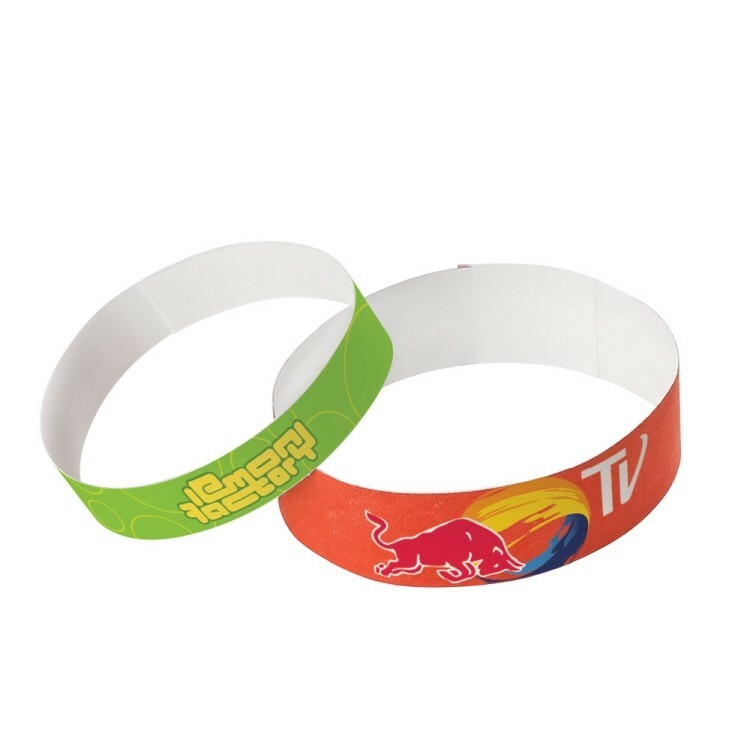 These slap wristbands are the perfect giveaway. Simply slap the band around your wrist to induce a fun snap action. 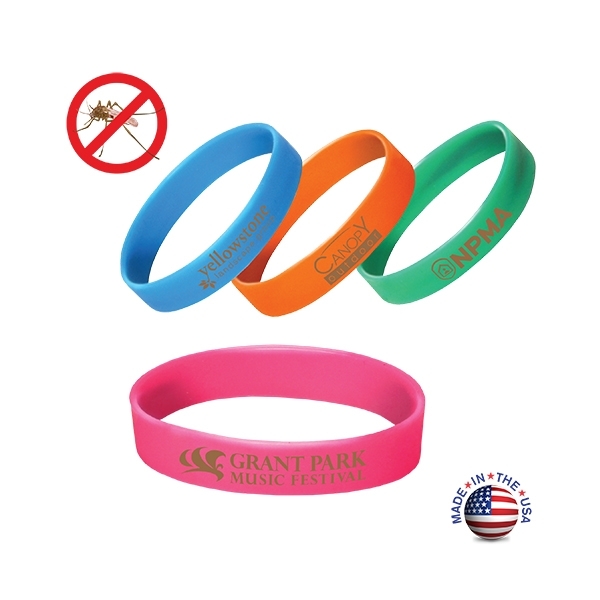 Great for theme parks, company picnics, schools, fundraisers, parties, concerts and festivals. Pockets are for daily essentials. Pouches are for the things that suddenly become essential at critical high stake moments in life. 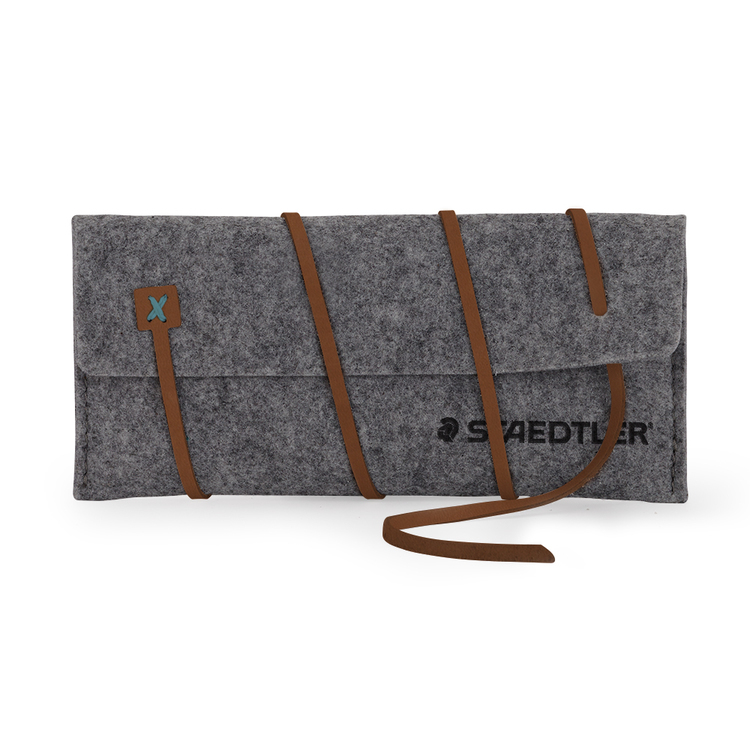 Here’s a handcrafted gift that can supply the amenities we need when we need them most. Now that’s a laser engraved impression worth making time after time again. Choose from 6 domestic, USA Made, leather accent colors and customize to match your company logo with 11 Irish waxed linen accent stitching colors to create something truly unique. NEW ENSIGN leather cuff bracelet with debossed leather patch and antique nickel post closure. Choose from 5 domestic, USA Made, leather colors and customize to match your company logo with *11 Irish waxed linen accent stitching colors to create something truly unique. Colors and distress marks will vary.